We share three tips plus an easy recipe for homemade banana pudding from scratch. Jump to the Banana Pudding Recipe or read on to see our tips for making it. 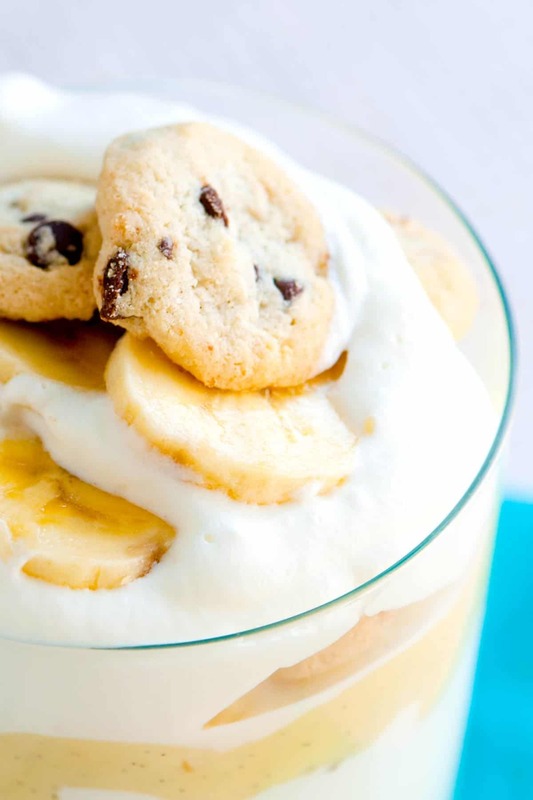 We layer from-scratch vanilla pudding, whipped cream, ripe bananas and mini chocolate chip cookies. 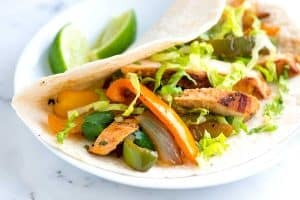 Make this into individual servings or use a large dish or bowl and serve it family style. 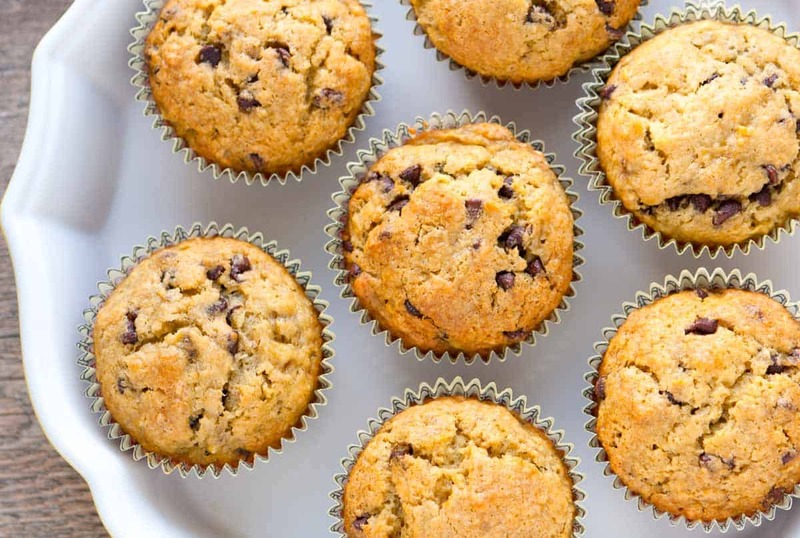 YOU MAY ALSO LIKE: How to make easy banana muffins with chocolate chips. Jump to the Easy Banana Muffins Recipe. I love this banana pudding. It’s pretty simple to make and will make everyone happy. We make a vanilla pudding from scratch. It isn’t difficult, promise. Then we layer it with whipped cream and cookies. Choose your favorite cookie for this — we used mini chocolate chip cookies (my favorite). Use Good Vanilla — Sure you can use vanilla extract and it will work if that’s all you have, but I highly recommend splurging on a vanilla bean or vanilla bean paste when making the pudding. Here’s a good deal for vanilla beans online and here’s the vanilla paste we buy. See the photo below? That’s a vanilla infused milk. It’s the major player to how great the pudding tastes. Use Ripe Bananas — I know this may seem obvious, but it is important. There’s no room for flavorless, green bananas here. You want the bananas to be ripe and sweet. That’s the only way the assembled pudding will soak up some of the banana flavor. Make it in Advance — Okay, I know. This isn’t what you wanted to read, but I need to be straight with you. The pudding really needs some time in the fridge to set. It tastes better, too. Make it the day before you need it, it’s worth it. Then once assembled, you can enjoy it straight away, but we like it after storing in the fridge for a few more hours so the bananas give off some flavor and the cookies get some give to them. One more thing, we top our pudding with whipped cream and not meringue. That said, you can easily add it. 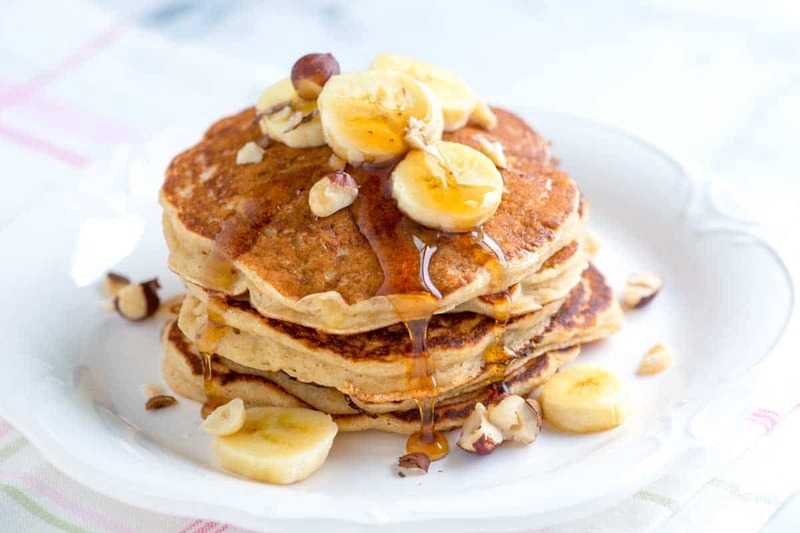 YOU MAY ALSO LIKE: How to make buttermilk pancakes with lots of banana, buttermilk, and spices. Jump to the Spiced Buttermilk Pancakes Recipe. The pudding really needs some time in the fridge to set. It tastes better, too. Make it the day before you need it, it’s worth it. Then once the banana pudding is assembled, you can enjoy it straight away, but we like it after storing in the fridge for a few more hours so the bananas give off some flavor and the cookies get some give to them. Whisk cornstarch and a 1/2 cup of the milk together until smooth then whisk in the egg yolks. Add the remaining 2 1/2 cups of milk, sugar and the salt to a heavy bottomed medium saucepan. Split the vanilla bean lengthwise and with the tip of a knife, scrape the vanilla seeds into the pan. Drop the pod in as well. Bring to a boil over medium heat then immediately turn the heat down to low. 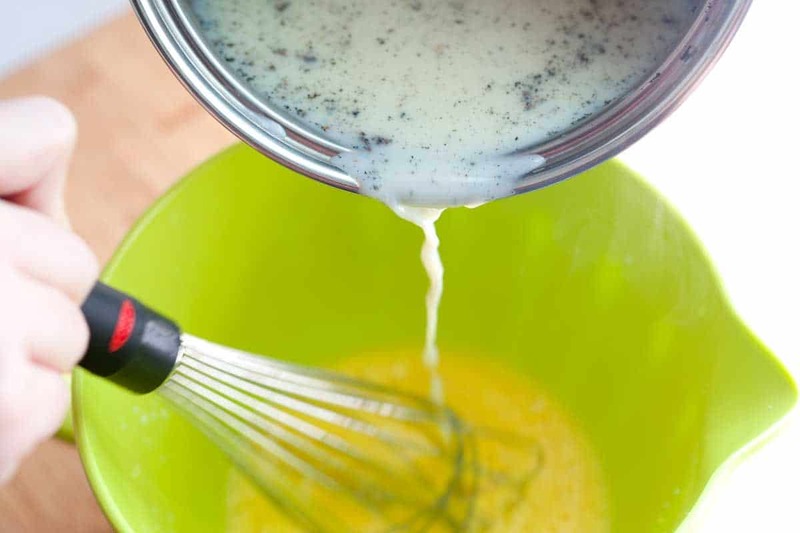 Switch from whisking the egg mixture to whisking the remaining vanilla infused milk in the saucepan. While continuously whisking, slowly pour the now hot egg mixture in a steady stream into the saucepan. Continue to cook, while whisking, until the pudding comes to a gentle simmer. Simmer for about 1 minute. Remove from the heat, remove the vanilla pod then pour into a bowl. Press a sheet of plastic wrap on top to prevent a skin from forming. 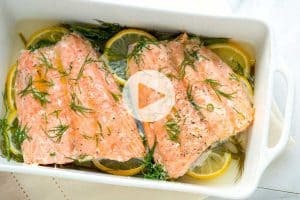 Refrigerate until cold, 3 to 4 hours or overnight. When ready to assemble, whip the cream until soft peaks. Make individual banana puddings or assemble in a 2-quart dish or bowl. 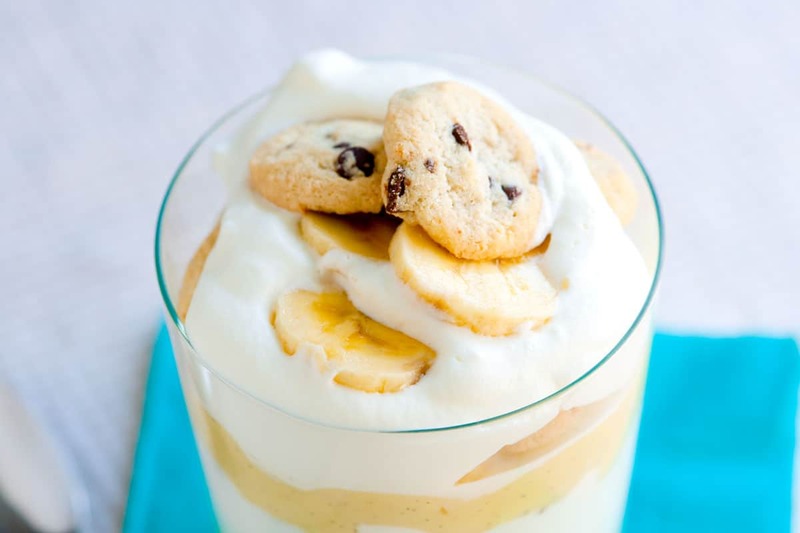 Spread a layer of chilled vanilla pudding in the bottom of the dish, then add a layer of whipped cream, a layer of banana slices and a layer of cookies. Repeat with about half of the leftover pudding, more whipped cream, banana slices and cookies. Spread the remaining pudding on top. Cover with plastic wrap and refrigerate for a few more hours so the bananas give off some flavor and the cookies get some give to them. Serve with more whipped cream, sliced bananas and cookies on top. 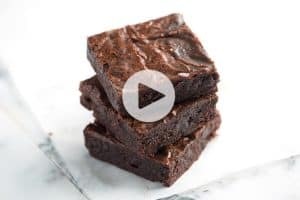 If you are using vanilla bean paste in place of the vanilla bean, check the back of the jar to see the correct conversion of vanilla extract to paste. The vanilla pudding has been slightly adapted and inspired by Desserts From the Famous Loveless Cafe — such a great book! 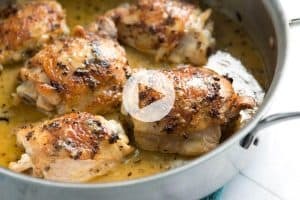 I starting making this recipe without reading it all the way through (I know, my fault). The title had me thinking it was a banana pudding recipe. It’s not, it is a vanilla pudding recipe with sliced bananas on top. Hi Mike, If you let the pudding and bananas sit together in the fridge for a few hours, everything comes together really well and tastes like banana.